OceanWise was asked by PD Teesport to create a high resolution Port Electronic Navigational Chart (ENC) for the Pilots to safely bring in the Brent Delta Oil Rig topside for decommissioning to the Able Yard at the end of Seaton Channel, Hartlepool on Tuesday May 2nd. The rig weighing 24,200 tonnes was transported from its location in the North Sea to Hartlepool by the world’s largest ship, the Pioneering Spirit. Off Hartlepool it was transferred to the barge the Iron Lady. Such was the schedule that the last harbour survey was done the day before the ship movement and the Port ENC delivered on the morning of the event which was safely undertaken that same afternoon. 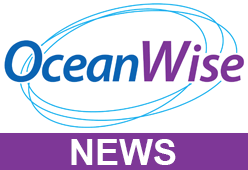 It was created using OceanWise Maritime Toolbar ENC Writer extension, which is shortly to be deployed in PD Teesport. The chief pilot, Mark Green, at Teesport who did the pilotage said that the ENC cell was “priceless and pivotal to the manoeuvre”. The existing published ENC cell for the Seaton Channel contained little detail (one depth area and no buoyage) and with the channel being dredged for this ship movement the week before, there was no time to get the published ENC updated with the new depth information.